Pilot | Union Station Front Street Promenade | Williamson Williamson Inc. In Union Station’s Front Street Promenade, located on the concourse below the Great Hall, a string of small historic shop-fronts have been repurposed to house a series of specialty retail environments. 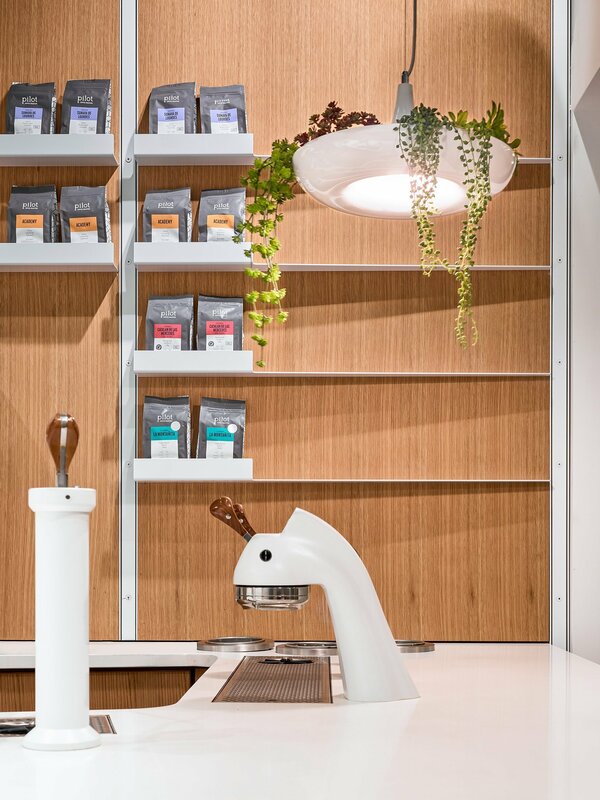 Pilot Coffee Roasters occupies a prime location at the intersection of the concourse. 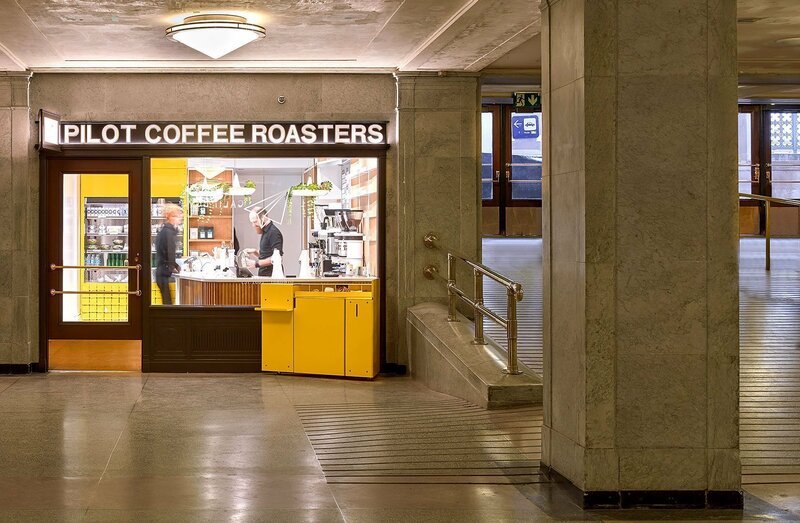 The slatted oak retail counter bends to create space for the custom bright yellow folded metal milk cart at the entry. 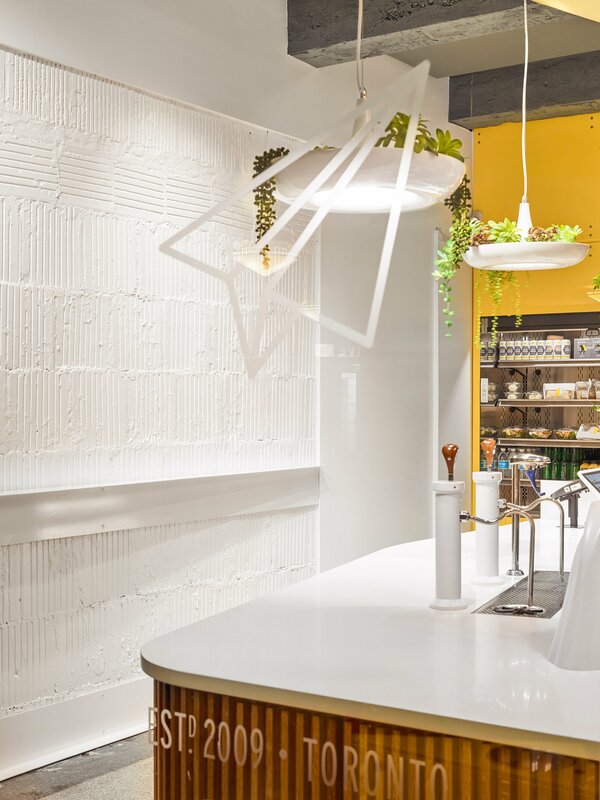 At the storefront, the counter bends and curves around, centering the two white powder-coated Modbars in the window and allowing the Barista to take center stage. 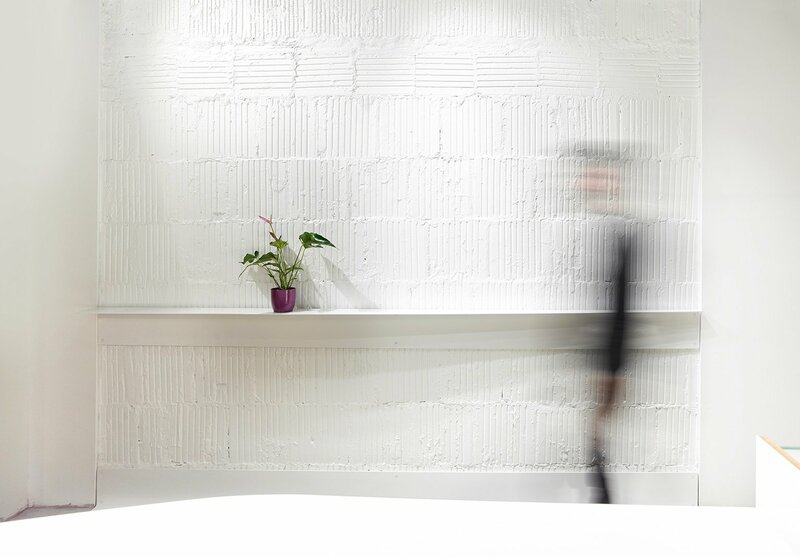 Backing up the retail counter is a flat panel oak wall detailed with white metal trim and shelving. 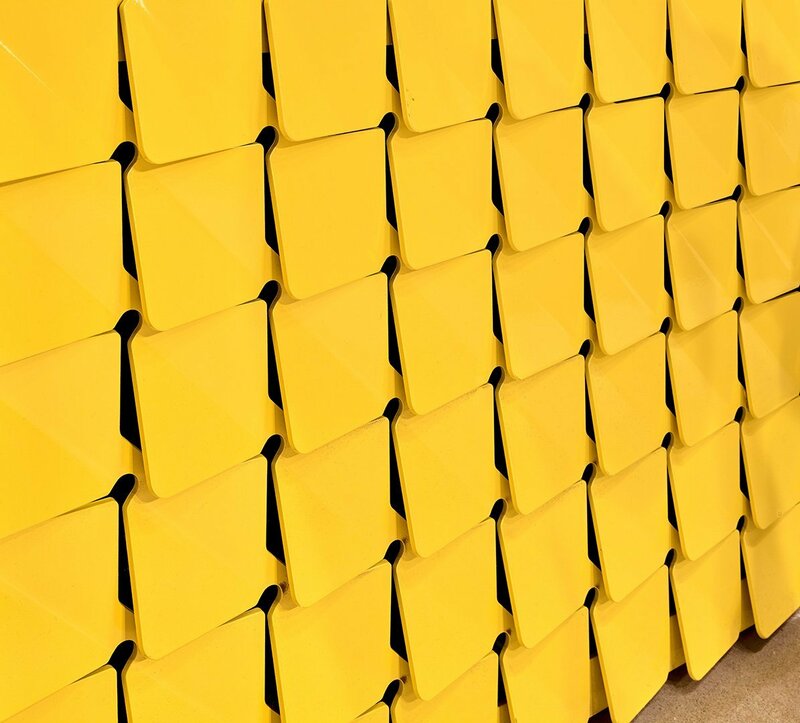 The end of the shop is punctuated by a second bright yellow custom metal piece cloaking a built-in refrigerator. This location follows the successful temporary ‘boomerang’ kiosk that occupied the Great Hall for the past year while the building has been under extensive renovations. Now in this permanent location, Pilot Coffee Roasters has established itself as providing great coffee as well as great spaces.